Sunatya is a registered academy of performing arts located on Amritha College Road, Off Sarjapur Main Road, Bangalore which has been the place of many people all around. 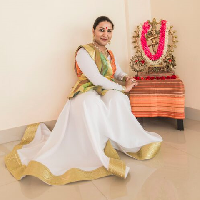 Sunatya brings about the cultural heritage, diversity and richness of Kathak combined with the training in dance drama to preserve the art of Indian classical dance form. Sunatya provides a platform for the promotion and propagation of other classical and folk art forms as well. We are 100+ Students comprising of doctors, engineers, painters, home makers, entrepreneurs, lawyers, teachers and kids from tots to teens .The classes are held all throughout the week to reach both working women and home-makers and school students. Shalini Garg is the Founder-Director of Sunatya Academy of Performing Arts, a multidisciplinary platform established in December 2014. Ustad Hafiz Khan is a familiar name in the world of Hindustani music. 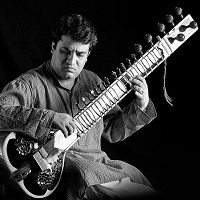 His music exemplifies the best of sitar. Mrs. Kalluraya is a Bharathanatyam dancer, Kuchipudi dancer, Mohiniyattam dancer, Choreographer, Natuvanar and Vocalist.